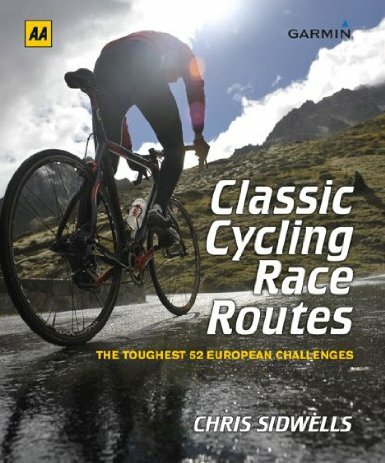 Chris Sidwells has launched a new cycling book, Classic Cycling Race Routes: The Toughest 52 European Challenges, and we’ve managed to get our hands on a copy. 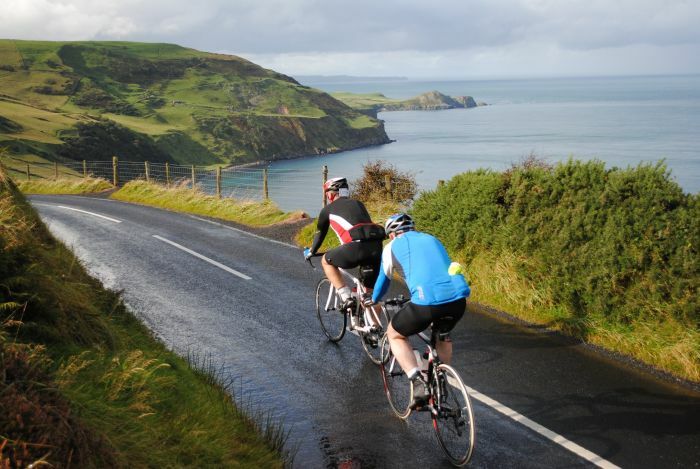 The book contains 52 classic cycling race routes with detailed descriptions, interesting historical facts and detailed maps of the tracks and, while we may not be too interested in cycle racing, the suggested routes are perfect for taking on at your own pace and can be great additions to any cycle tours you may be planning. While it would take you a long, long time to go and cycle the whole 52, Chris has selected his 10 favourite routes from the book and compiled them into the list below. These aren’t for the faint hearted though, tough, long hill climbs will get the heart pounding and the thighs burning so get ready for a challenge! This ride is a perfect introduction to the extended effort involved in climbing mountains on a bike. It crosses three: one that’s shortish but steep and two that are much longer but have easier gradients. 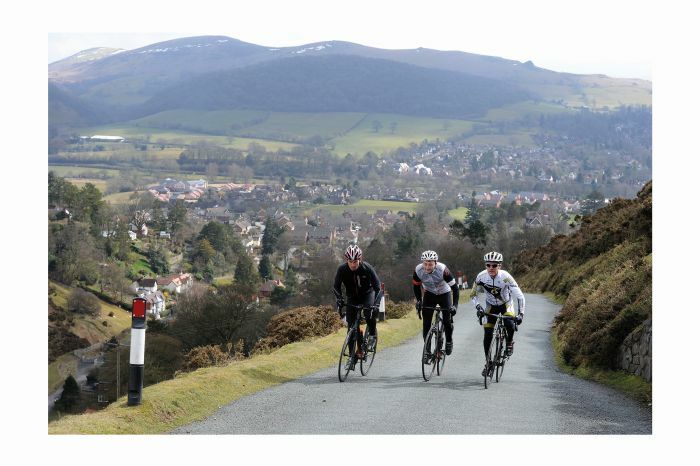 The ride also explores the surrounding hills, and straddles the Wales – England border. Confusingly, two of the mountains on this ride have almost the same name; The first is the Long Mynd – ‘mynd’ being a derivation of the Welsh word for mountain – so its name is Long Mountain. And that’s exactly what it is: a long, thin, undulating steep-sided ridge that stands just east of Bishop’s Castle. The Cornwall Tor is a good old-fashioned hill-fest. 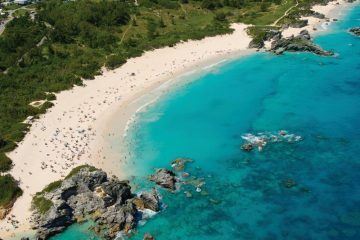 It starts in the centre of this elongated county at the southwest tip of Britain, visits some of the cliffs and bays of the north and south coasts and wanders around a hilly hinterland of moors and valleys. There’s also a short passage through some very unusual scenery that was created in Cornwall’s industrial past. The event starts at a National Trust property called Lanhydrock, but nearby Bodmin is a better base if you want to ride this route outside the event. The first section works its hilly way to the edge of Bodmin Moor , a wild and windy place that’s one of the few British upland areas not managed as a national park. Perhaps because of this it has a rugged unkempt look. It’s a hard life for the locals farming up here, but the landscape has a quiet dignity because of it. The Tour of Spain is the third and youngest of cycling’s three Grand Tours, the three-week stage races that are the ultimate test of cycling speed, all-round ability and endurance. The first Tour of Spain took place in 1935, but it had a shaky start due to the Spanish Civil War and World War II. Now, the Vuelta a Espaňa, which is what they call the race in Spain, has been run continuously since 1955. 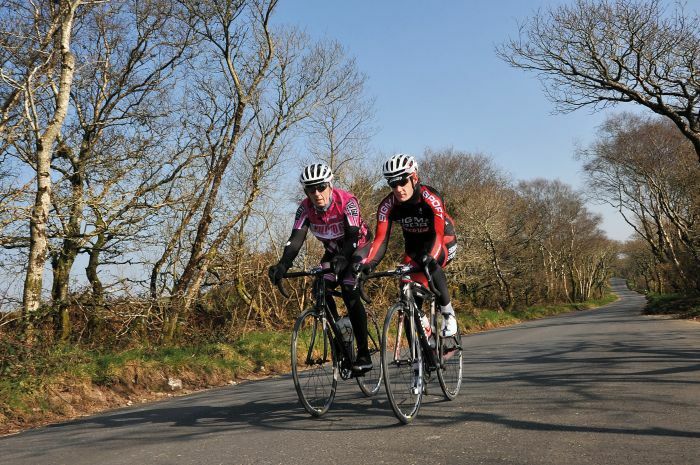 The organisers recently followed the lead of the other Grand Tours, the Tour de France and Giro d’Italia, but giving everyone the chance to enter a cyclosportive event run on one of the stages used by the race. It’s called Etapa de la Vuelta, but it hasn’t yet visited the most dramatic feature of recent Tours of Spain, a climb in the Asturias called Alto de l’Angliru, but referred to simply as El Angliru. El Angliru is a climb that strikes fear into the hearts of many pro racers, but also delight in the few who are steep mountain specialists. It’s so steep that racing up it has only been possible since the development of compact chainsets. To climb it on ordinary racing gears would mean a slow-motion slog to the top, because El Angliru is far from ordinary. It is a challenge that every cyclist should attempt. Northumberland is the secret jewel in Britain’s crown. Wide-open views, quiet roads and mysterious forests lie under a big, big sky. The Cyclone route is an all-encompassing loop running north of Newcastle to the Cheviots (the chain of high, wild hills that Northumberland shares with Scotland), past the great Kielder and Wark Forests then shadowing Hadrian’s Wall on the way back towards Newcastle. The Cylcone event starts at the Newcastle Falcons Rugby Club in Kingston Park, in the north of the city, but if you are riding this challenge at other times it’s probably better to start in Ponteland, about 12 kilometres (7 miles) northwest of there. Parking facilities are better and you lose the only uninteresting section of the route. The tour of Lombardy is cycling’s fifth monument, and Italy’s second after Milan-San Remo. It’s a classic that’s run at the end of each racing season and, because of this, it has been called ‘The Race of the Falling Leaves’. Like all classics, the Tour of Lombardy is demanding. 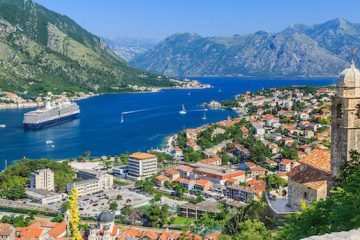 Its route is long and has a serious amount of climbing in it, but the scenery is stunning. The Italian Lake District lies north of Milan on the way to the Alps. Long lakes fill the bottom of steep-sided, towering valleys where roads cling to the lake shores, and villages full of muted pastel houses flow like coloured ribbons along their edges. The valleys are Lombardy’s race route, and the transition between each one requires a back-breaking climb, where the race is decided. 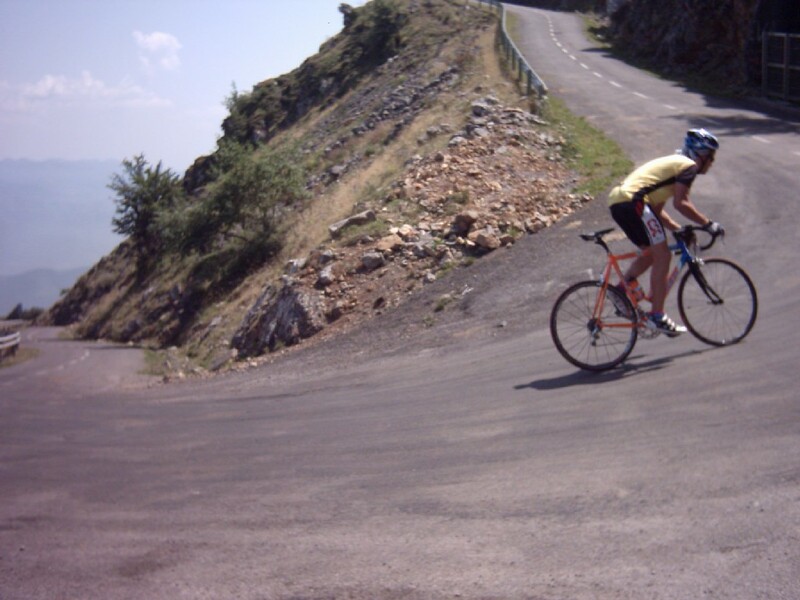 Over the years these climbs have become some of the most famous in cycling. 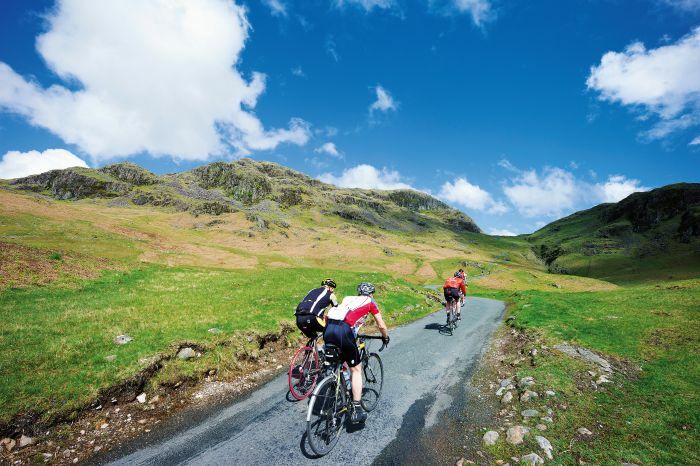 A circuit of Britain’s Lake District crossing every major pass in one voluptuous loop, the Fred Whitton Challenge is as hard as it is beautiful. A test without compromise – there are no alternative routes, no choices but a chain of steep hills that challenge your legs, your spirit and even your patience. This is not a casual undertaking; you will be out there for a long time in a very tough environment. The reward is immense as you rip almost 4,000 vertical meters from this route. This is the hardest British sportive, and anyone who does it wears the Fred Whitton Challenge medal with pride. Getting round is an achievement, but some take the challenge even further. They try to beat their best time, and the elite even try to get close to Cumbrian cycling legend Rob Jebb’s sub-six-hour record ride. 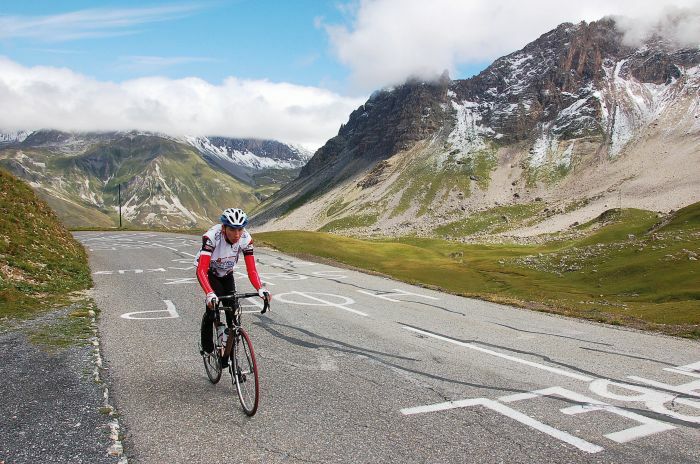 In many respects La Marmotte is the ultimate cyclosportive event. It was first held in 1982, so it’s one of the oldest sportives, but it’s also one of the most beautiful. An elegant circuit of three mountains steeped in Tour de France history, when you ride La Marmotte you ride the path of champions. 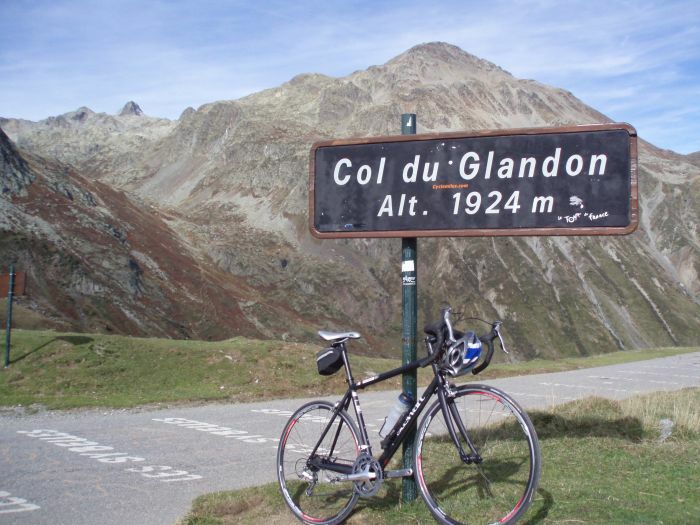 The climbs are the Col du Gladon, the Col du Télégraphe, the Col du Galibier and Alpe d’Huez, where La Marmotte ends on the Avenue du Rif Nel at 1,860 meters above sea level. It starts in Le Bourge-d’Oisans, the town at the foot of Alpe d’Huez, and the first leg rolls gently down the Romanche Valley to Rochetailée, where the fun starts. Mont Ventoux dominates the landscape for miles around the Vaucluse. 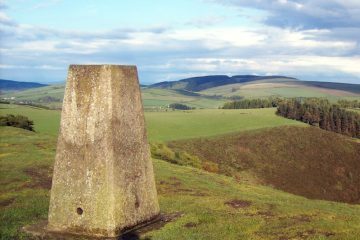 Its white peak is the highest point by far, and it’s a mountain of mystery that has provoked fear and fascination over the centuries. 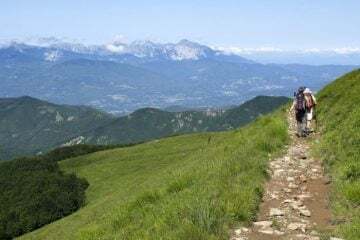 The first ever recorded mountain climb done for recreation was accomplished here in the 14th century by the Italian poet and scholar Petrarch, and it set the scene for centuries of physical endeavour on the mountain. The Ventoux is part of cycling folklore now, although the Tour de France didn’t visit here until 1951. When it did, though, the mountain quickly captured the imagination of cyclists all over the world, because it inspired some epic struggles on its uncompromising, sun-bleached slopes. The the Ventoux’s place in cycling history was sealed when British rider Tom Simpson collapsed and died just a mile from its summit during the 1967 Tour de France. Cycling has never been more popular than it is in Britain just now, but it has always been popular in continental Europe. However, even on the continent there are some cycling hotspots, and none are hotter than Flanders. Many people in the Dutch-speaking half of Belgium follow bike racing with an almost religious zeal, and even those who don’t try to watch the Tour of Flanders. 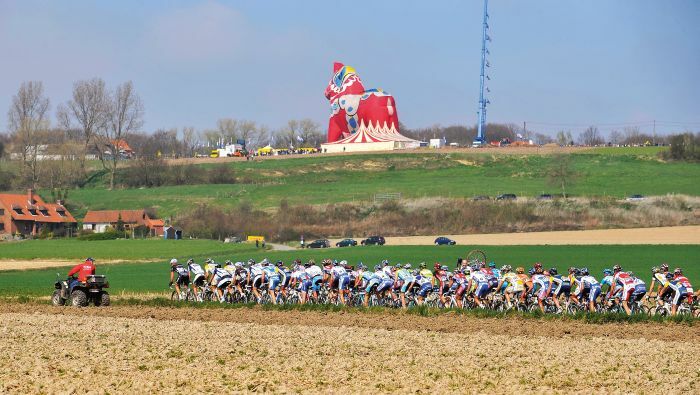 The Tour of Flanders is not only a celebration of Flemish cycling and the unique terrain that helps to make it so exciting; it also serves to usher in the spring for the whole country. Flemish children are taught that the racers’ colours are a metaphor for spring flowers. The race is so important that it’s very hard for an outsider to win it, all the more so because Flanders has produced many more world-class road racers than is warranted by its size. I love this ride. The organisers call it the Giant Killer, and it certainly is a major cycling challenge, especially since the hardest part comes very close to the end. 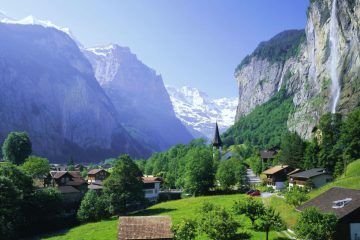 But the solemn beauty of the countryside and coast will win your heart. 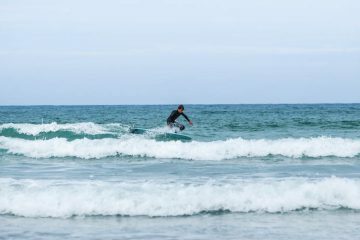 You start by the sea in Ballycastle in a picturesque bay where the Kintyre Peninsula of Scotland is visible 15 miles away over the water. Rathlin Island is even closer, like a stepping stone on the way. It’s a wonderful view that gets better as you travel west along the northern coast of Ireland. 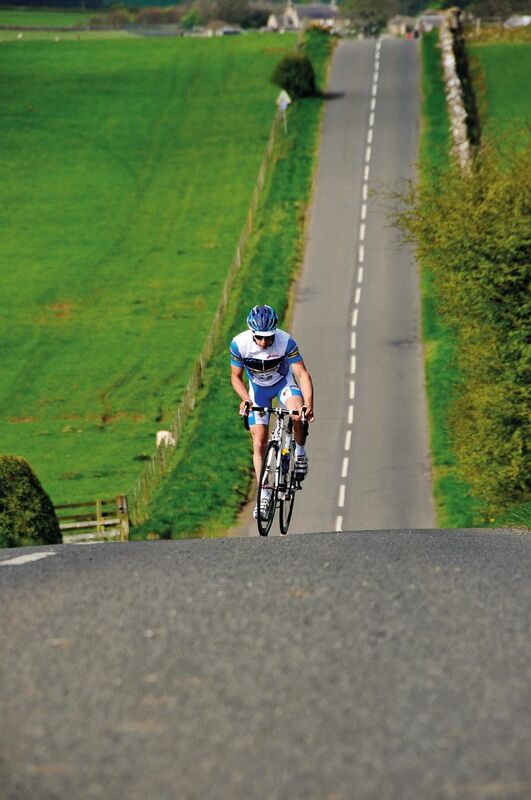 Chris Sidwells is the author of Classic Cycling Race Routes – the toughest 52 European Challenges. The book is published by AA Publishing and can be purchased from the AA Shop or Amazon – Prices start at about £17. Chris Sidwells is an internationally respected British cycling writer, with books on all aspects of cycling. His Complete Bike Book has been translated into 24 languages, and his Bike Repair Manual, in its fifth edition, has been translated many times. A Lifelong cyclist, Chris has won races in every discipline: road, track and off-road; and in every age group, from youths to masters. He is a qualified cycling coach and fitness instructor.